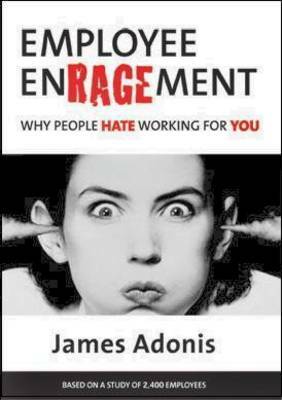 In a groundbreaking study of 2,400 people, the author has investigated what causes employees to be angry, frustrated, and upset at work, in this refreshingly real and brutally honest book. Written unlike any other management book this will wake you up, give you a reality check, a... read full description below. In a groundbreaking study of 2,400 people, the author has investigated what causes employees to be angry, frustrated, and upset at work, in this refreshingly real and brutally honest book. Written unlike any other management book this will wake you up, give you a reality check, and elevate your management skills to a whole new level.